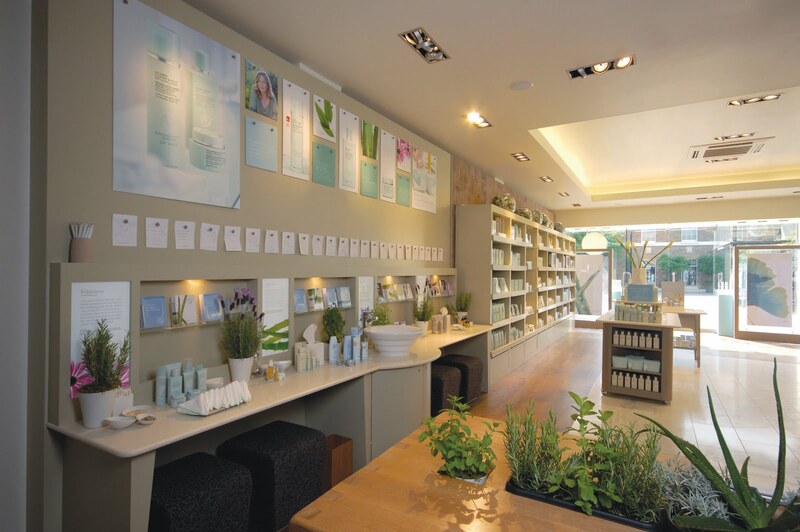 So, it turns out that Liz Earle is hugely popular "oop North" and following customer demand, a standalone shop is to open in Leeds' historic Victoria Quarter next week (w/c 22nd November). Having never been into a Liz Earle shop myself (the image is a stock one of the London store), I imagine them to be wonderfully fragrant and serene places. After all, the brand is one of Britain's most popular natural ranges. I'm told that the shop interior will be inspired by the brand's Isle of Wight heritage, with pebbles, natural stone flooring and aged cedar shingle walls. The centrepiece to the store will be a "botanical staircase" (whatever that means! ), reflective of the natural ingredients used in the products and leading to the second floor. For me, the most exciting aspect of the store is this second floor where a botanical research library with books to peruse and an ingredients bar, created to encourage learning are located. This seems a fitting time to mention that I've recently been trialling the brand's newly launched, albeit years in development, haircare range, namely their Botanical Shine Conditioner for Normal Hair. The internet is awash with raves of the range and it's no secret that I'm very specific in my haircare requirements- my hair is my beauty bugbear so I'm ridiculously fussy when it comes to products & perhaps I'm not best placed to be reviewing this. Natural haircare is notoriously tough to get right and I have to say in terms of market placement, they are (as Liz Earle tends to be, e.g. with customer offers, etc..) right on the money with this. The Botanical Shine Conditioner is sufficiently thick that a little goes a long way so the 200ml tube will last & last, which at a very reasonable £7.50 makes this a great value for money option in my opinion. I like that there's also a 50ml trial version for £4 as well. There's no question that this is packed with natural botanicals- meadow foam oil to condition, Kenyan yangu oil to smooth & soften, blue seakale and apple & orange extracts to boost shine- the intoxicating scent hits you as soon as you open the flip top lid. I loved this aspect of the conditioner, particularly as it makes it ideal for lethalgic mornings! What's more, the scent lingers delicately on the hair throughout the day which Mr. Skin Deep complimented me on and let's be frank, who doesn't love great smelling hair?! The conditioner is really smoothing which is a major bonus when it comes to frizz prone locks and has the added benefit of making styling a breeze but I'm afraid that the conditioner was simply too rich for my stupidly fine hair- I found that it made it too soft, with a flyaway effect although I will say that it rinsed out beautifully. I'd love to hear what others have made of this range... it is something which I'd recommend as, although I personally haven't gotten on with it as well as I'd hoped, I can appreciate what's essentially a good product when I see one!